The Taste of Wisconsin is a celebration of Wisconsin beers and cheeses. This event is held the Saturday of Father's Day from noon-4 pm in downtown Beaver Dam, S. Spring Street, from Front Street all the way to Washington Street. Two hundred feet of tent prevent exposure to weather extremes, live music, and four hours of sampling! 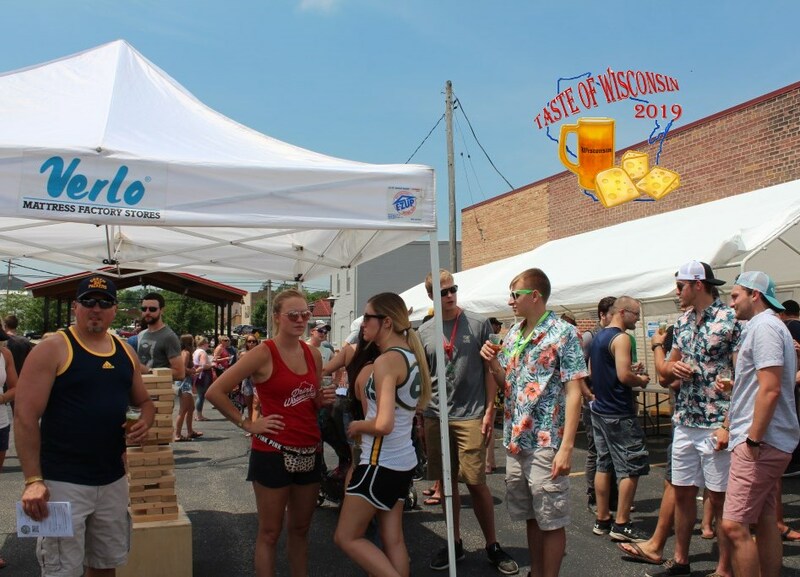 With each ticket, you receive a souvenir tasting glass, a souvenir program to let you evaluate each beer and cheese, unlimited sampling of over 100 Wisconsin Beers and over 60 Wisconsin Cheeses and free live entertainment. Check out our website at www.tasteofwisconsin.net to find out details about music, ticket policies, our pet policy and more! Music from the Eccentrics Duo! Beaver Dam Chamber of Commerce 127 S. Spring St.